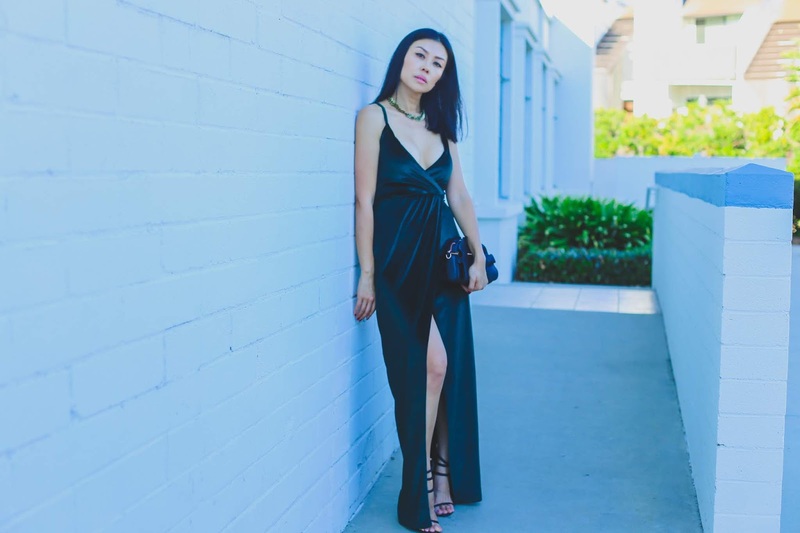 This velvet wrap maxi dress is perfect for glam nights. And it's under $30! This velvet maxi dress from boohoo is so good! I love the wrap detail and the high slit perfect for cocktail parties and upcoming holiday parties. Though it's a statement dress the style is still simple enough to glam up a bit more with key accessories making it super versatile and easy to dress up and down. And did I mention it's under $30? It's still available in most sizes so hurry!